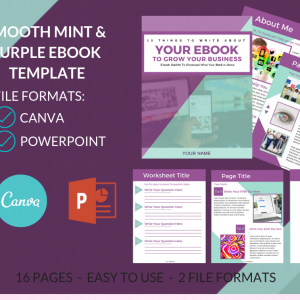 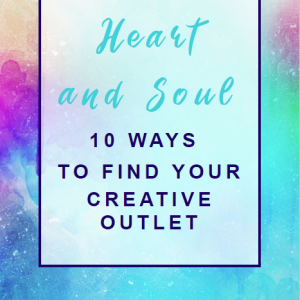 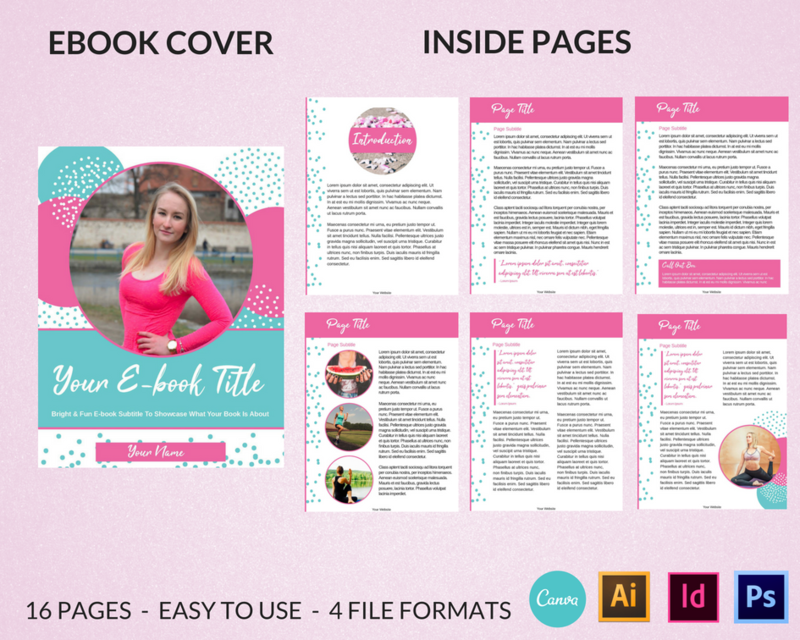 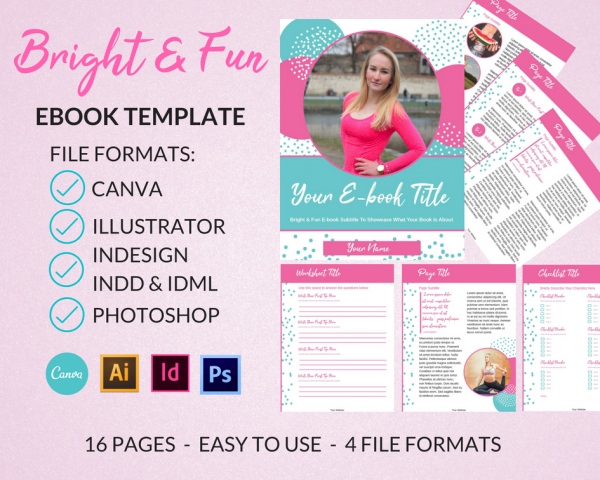 Bright & Fun Ebook Template in 4 different file formats – Canva, Photoshop, InDesign, and Illustrator! 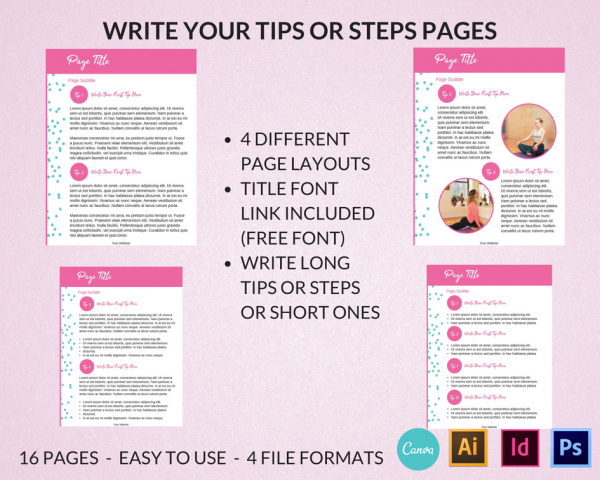 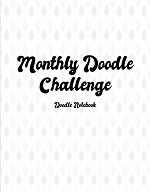 Each one is easy to use to change your text, font, and colors. 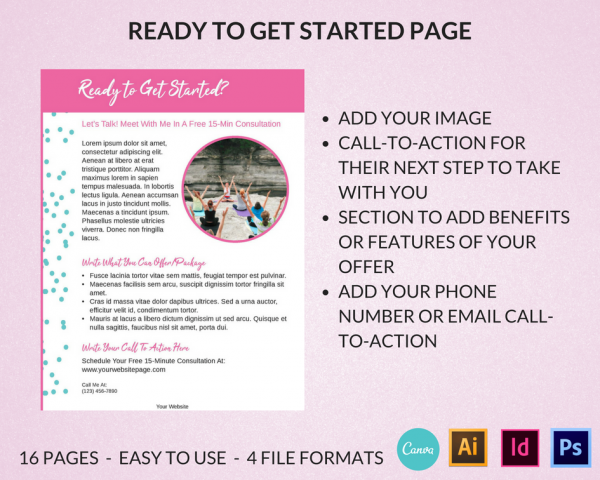 The ebook template comes in 300dpi for printing and you can save it in 100 dpi or less to add online for your opt-in freebie or product. This is a full-size sized (8.5×11 inches) layout spread. 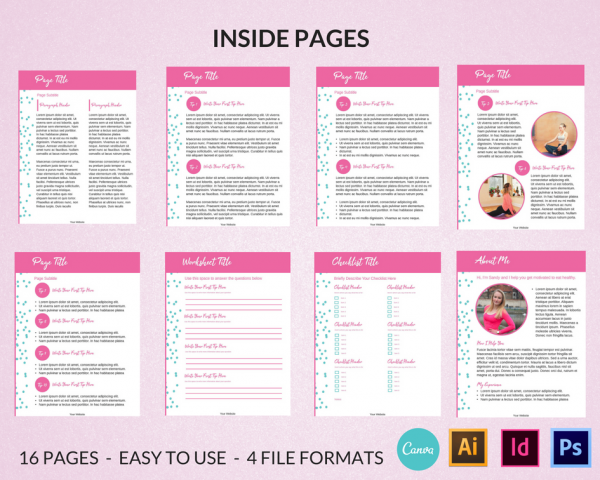 All fields are editable. • The template pack includes 8 stock photos from Pixabay.com that you can download and use in your ebooks. 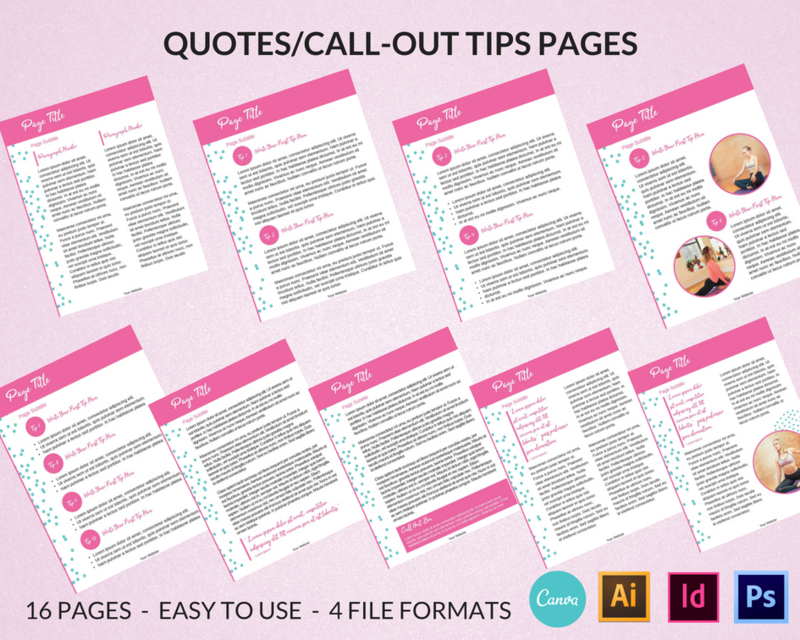 – All the pages you need for a quality, branded opt-in or ebook product you want to sell. 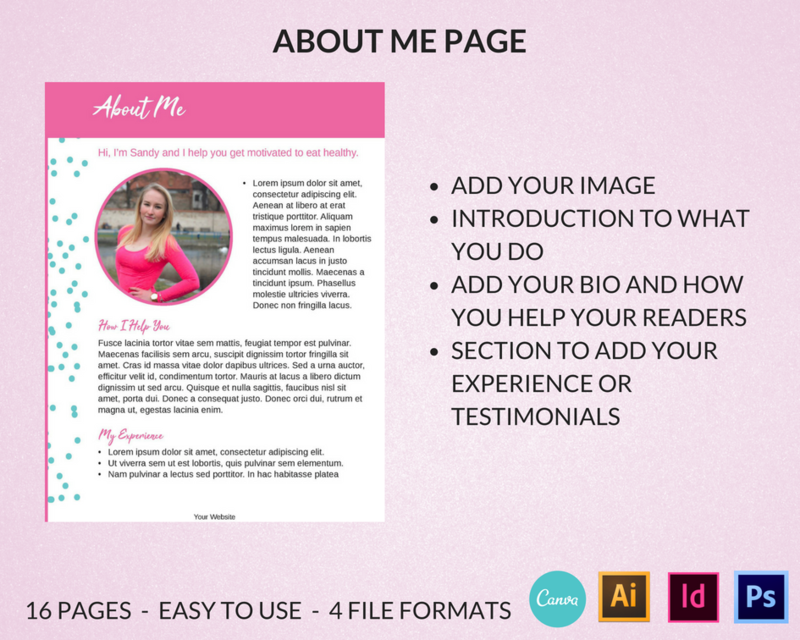 – You can use the design to brand your website and business cards the same way.